If you have dry, normal or combination skin it may be worth considering ways you can add some extra glow into your daily makeup routine. Something I have been really loving lately is mixing in an illuminator with my regular foundation to add some more dewyness and luminosity. This seems to work really well to break down a really matte, full-coverage foundation and make it into something a little more light and natural. 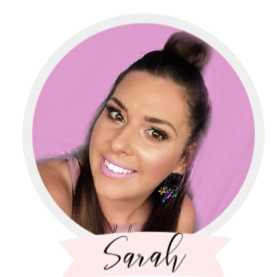 Today I'm going through my favourite foundation and liquid illuminator combinations and hopefully this will give you some inspiration to try this with products you have in your own makeup collection! Generally this isn't a good idea for oily-skinned gals but I'm all for trying things at least once, so don't dismiss this for your skin until you've tried it for yourself! First off, I really have been enjoying mixing 1:1 ratio of my Too Faced Born This Way Foundation in Light Beige with my Becca Cosmetics Shimmering Skin Perfector Liquid in Opal*. This combination adds some extra illumination to the Born This Way while still maintaining a medium to full coverage on the skin. I still set this with powder so I haven't found that it really has had much effect on the longevity of the foundation. (L-R): Too Faced Born This Way Foundation in Light Beige, Becca Cosmetics Shimmering Skin Perfector Liquid in Opal and then both mixed together. The MAC Cosmetics Studio Fix Fluid is one of my go-to foundations for brides and special events where you don't want your makeup to move at all and you need very full coverage. A great way to lighten the coverage of this foundation and adjust it for those who may have a dryer skin type is to add in some MAC Cosmetics Strobe Cream which is a creamy, white formula that adds in some opalescence. The foundation still remains high coverage but has an added glow to it and is more moisturising on the skin. (L-R): MAC Studio Fix Fluid Foundation in NC 15, MAC Strobe Cream and then both mixed together. If you want an extra glowy and dewy look, try mixing an already lighter coverage foundation like the Bourjois Healthy Mix Serum Gel Foundation with a liquid illuminator like the Face of Australia Mineral Therapy Illuminator in Angel Mist. This creates the ultimate fresh-faced, highlighted glow which looks very natural. (L-R): Bourjois Healthy Mix Serum Gel Foundation in 53 Light Beige, Face of Australia Mineral Therapy Illuminator in Angel Mist, then both mixed together. My favourite combination for myself that I have found so far is with mixing the Stila Cosmetics Stay All Day Foundation in 2 Fair with my Rimmel Good to Glow Liquid Illuminator* in 001 Notting Hill Glow. The Stila foundation is quite full coverage, matte and can be slightly thick. Adding in the Rimmel illuminator gives it a gorgeous finish and adds in some radiance to create a beautiful result upon application. It makes my skin looking radiant even without any highlighter on! Previously, I have found that I haven't been a real fan of applying liquid illuminators on my cheeks as a highlighter as I much prefer powder highlighters. This has been a great way for me to get more use out of my liquid illuminators and also getting a chance to play around with my foundation collection and see how I can alter the finishes of each one to find something that I like. Have you ever tried mixing in an illuminator with your foundation?